One: walk 30 to 45 minutes three days a week to increase your energy and metabolic rate. This helps to reduce excess body fat and releases endorphins, the feel good chemicals in your brain. Two: walk faster 30 seconds to one minute to increase heart and lung health. This helps to reduce the risk of coronary artery disease by lowering high blood pressure and high cholesterol and increases lung capacity. Three: skip a few times during your walk and swing your arms higher. This helps to strengthen the skeletal system which helps to reduce the risk of osteoporosis and helps to increase joint range of motion. Four: walk after eating breakfast, lunch or dinner. This helps with digestion by allowing your food to process better. 1) The more you move the more you lose. Unwanted fat calories that is. Work towards burning at least 250 calories a day through exercise, and cut 250 waste calories from your diet, and you could conceivably lose 1 lb per week. 2) The more active you are the stronger you get. Your body is made to move, so move often. Lift weights to build lean muscle and walk, run, bike, hike, or do whatever activities you enjoy, and challenge yourself cardiovascularly. Sweat and breath heavy. Discover all you can do! 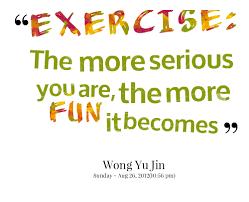 3) Exercise is good for you, so stick with it long enough to experience the benefits. You'll feel better not only physically, but also mentally. You'll sleep better, have more confidence, and start to eat healthier once you establish an exercise routine. 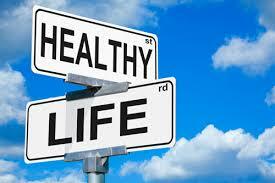 Inactivity contributes significantly to that sluggish feeling while regular exercise rewards you with more liveliness. 4) Focus on healthy eating. Healthy food choices will naturally help you feel better overall. Drink plenty of water to stay hydrated, and get in the habit of drinking a glass of water first thing in the morning to rehydrate and jump start your system. 5) Get plenty of rest. Be proactive in doing all you can to prepare for a good night's sleep. For greater success develop some kind of routine to calm yourself before bedtime such as reading, meditating, or deep breathing. Find something that works for you, and do it. Numerous studies show that lack of sleep can get in the way of your health and wellness, so find a way to clear your mind and practice it daily. A Simple Personal View: Why Exercise? When I don’t exercise regularly, which can be anything from walking to strength training, I feel achy and lethargic. I personally don’t like feeling that way, so I exercise. 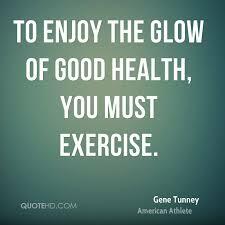 Regular exercise strengthens my bones, firms my muscles, clears my mind, and improves my heart and lung health. Plus exercise helps me to eat healthier and stay at a healthy weight. I'm all about efficiency and results, so my particular training method to strengthen bones, firm muscles, and improve heart and lung health is kettlebell training. Find a training method you enjoy, and go for it. Do it for you!